VPNs are powered by sophisticated technology, technically complexed and only fully understood by IT experts. Using VPN services is neither complex nor difficult although it offers the most comprehensive security available to internet users. The foundational technology behind VPNs is tricky to understand although the general basics offer users sufficient information on the level of protection it provides as well as how it protects users during internet browsing session. All internet activities are private, and players are guarded against snooping while geo-restrictions can be bypassed. In the article that discussed the functionality of a VPN, we take a look at what the benefits are of utilizing a VPN service. We further delve into what a VPN is, what users can do with a VPN, how it works, what is needed to select the perfect VPN provider and which options are best for specific uses. 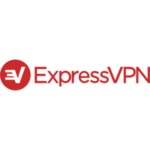 In addition, we feature in-depth VPN reviews on our site that are designed to help you select a VPN service that is suitable for your needs. "A speedy VPN that's very easy to use and covers basic privacy needs well enough"
Public Wi-Fi hotspots are perfect for mobile and laptop users, and often it offers individuals the chance to quickly get urgent online tasks done at shopping malls, hotels, airports or at coffee shops, and with Wi-Fi now offered at McDonald’s it is convenient to utilise public Wi-Fi on the go. While public Wi-Fi is extremely convenient, it also poses the highest risk to user’s online security and all it takes for hackers is to hack a banking password, Gmail account or Facebook login to cause havoc in an individual’s personal life. According to experts, it is also not that difficult to hack and instructions on how to hack or crack Wi-Fi networks are offered online. It takes only minutes to find out more about basic internet security although it could save years of agony. In 2014, Gemalto found that 32 data records were stolen or lost every second in the USA, this number showed an increase of 46% when it was compared to 2013, which showed that well over 1 billion data records were compromised. Identity and cyber-theft are now more than ever the fastest growing crime in the world and the average financial layouts to clean up such a disaster is at least $500 for individuals according to Forbes. The most significant cause of identity fraud or data breaches is malicious outsiders. Stolen identities and information theft, is not the only internet browsers problems that affect individuals, government surveillance, and government censorship have never been this high. Several countries altogether ban some of the most popular websites such as Facebook and Google and individuals are spied on daily by intelligence agencies such as NSA and the FBI. The hacking problem is further increased by multiple articles available online showing anyone how to hack webcams in minutes, and it is no surprise that the NSA is also able to take over computer cameras to take photos of anyone or to record audible conversations without the consent of individuals. Used for many years by businesses, VPNs line everyone together, and increases access, while t also encrypts activities to safeguard it from the outside world. People around the world can work together or share desktops due to the virtual intranets, and most individuals have accessed VPN services at some point without realizing it. 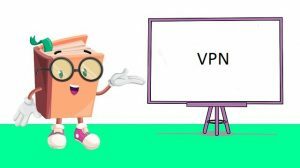 Technically a VPN extends a private network over a public network allowing individuals to gain complete access to the public network although all activities are as safe and secure as it would be via a private network. Basically, it’s the best of both worlds and users has access to the endless amount of information and sites the internet has to offer without taking the downsides such as risk, restricted access, other limitation and of course the lack in security. 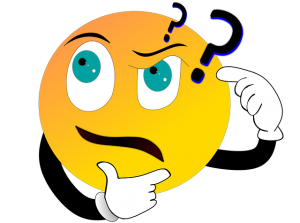 Individuals can access files from anywhere or make it appear that they in Bangkok while browsing actually takes place from New York. The VPN service forwards users request as well as responses through different sites via an encrypted tunnel, and all activities are masked in a way that all activity is shielded. Actions such as sites visited, files downloaded or any other online activities are hidden from view. Virtual Private Networks offer individuals a secure yet uncomplicated way to protect their identity and location while the internet is accessed from government surveillance and hackers. Fundamentally, a VPN collects the user’s demands or requests and then forward it to the network after the user’s details are removed. This offers everyone who uses a VPN the ability to shop, do banking and browse without anyone being able to view any of the activities even when services are accessed via public Wi-Fi. VPN users can side-step geo-blocked locations and censorship problems as well as prevent entities or individuals from spying on their every move on the internet and VPN use on a daily basis includes browsing privacy, circumventing restricted sites, censorship bypass, and safe downloading of files. Wi-Fi hotspots offer anyone the opportunity to connect to the internet, and while it is fantastically convenient, it is also a problem. The aspect that makes it most convenient is also the aspect that opens it up to hackers and once hacked all user activities can be viewed, especially at airports, hotels, and public bars or restaurants. Users travelling between different countries can use VPNs so as to access to their favourite channels such as Netflix or social media accounts from countries which restricts access. 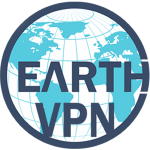 VPNs offer users the option to choose the server located country in order to access sites that are geo-restricted, and access to sports events that are mostly tied down to specific networks can be accessed from anywhere across the globe. Individuals travelling to China can connect with co-workers via Google Hangouts only if a VPN is used since the country proactively censor many sites. VPNs allow users to select a server located in a different part of the world in order to access all censorship-blocked sites. Sensitive files and other information can be obtained by logging in anywhere worldwide. This permits users guaranteed safe access while accessing businesses while utilise VPN services. By downloading illegal or even legal files from the internet is a risky business since the files could send back data or other sensitive information to the original source, by using a VPN user are protected, and the chances of keylogging are removed. HTTPS is a protocol that encrypts connections to any website and is highly effective in safeguarding passwords, login details and online purchases especially banking details. SSL certificates are installed on secure websites and act like encrypted keys to completely secure the connection between the site and visitors or purchasers. Information regarding transactions is secure between the website and the devices it is made from since most sites use HTTPS by default. At the same time VPNs encrypts all internet activities to further increase security and privacy through the tunnelling protocol. Tunneling offers the ultimate protection, when a web address is entered the files are basically broken down into packets sent to user’s computer from the server source, tunnelling takes the individual packets place it in a single packet and then send that out. The outermost layer camouflages the contents of the packet. VPNs add a buffer or layer between browsing activities and other entities trying to survey it. It is these encrypted layers of data that allows access to networks from remote destinations or in case of free Wi-Fi hotspot used activities leaves a VPN footprint to secure that no trace of the device used are visible or left behind. Without the proper encryption key to unlock contents attackers or networks are unable to view the contents of a tunnel. Different protocols are used by VPNs to send users encrypted data via tunnels, and the protocols act like a framework or a single language understood by the specific network that receives and sent the information. For example, most popular websites use OpenVPN beyond the SSL certificates or IPsec to send encrypted and secure data between two devices. IPsec exists of two sub-protocols that provide all the information and instructions that are needed by the VPN in order to secure the packet sent or received. The two sub-protocols are ESP – Encapsulated Security Payload and AH Authentication Header. The ESP encrypts all data while the AH hides the information of the sender of the packet until it reaches its location or destination. PPP is a common VPN for remote access and Point-to-Point Protocol while L2F – Layer 2 Forwarding is an additional PPP based protocol. VPN services should be evaluated on three basic criteria’s including protocols, server locations, and price. While we briefly discussed most of the protocols Secure Sockets Layer or SSL is used by some of the major sites like Amazon and Google and the highest recommended protocol is OpenVPN for its reliability and security strength. Server locations are important especially for users travelling regularly to other countries as well as individuals who enjoy Netflix or sports events since all geo-restrictions can be bypassed. Paid versions offer the best security, and most VPN suppliers offer packages that feature security for routers and several devices. The monthly fee charged is well worth paying, not only for safe purchasing but also for the security it offers the entire family. Check out our best VPN providers here.